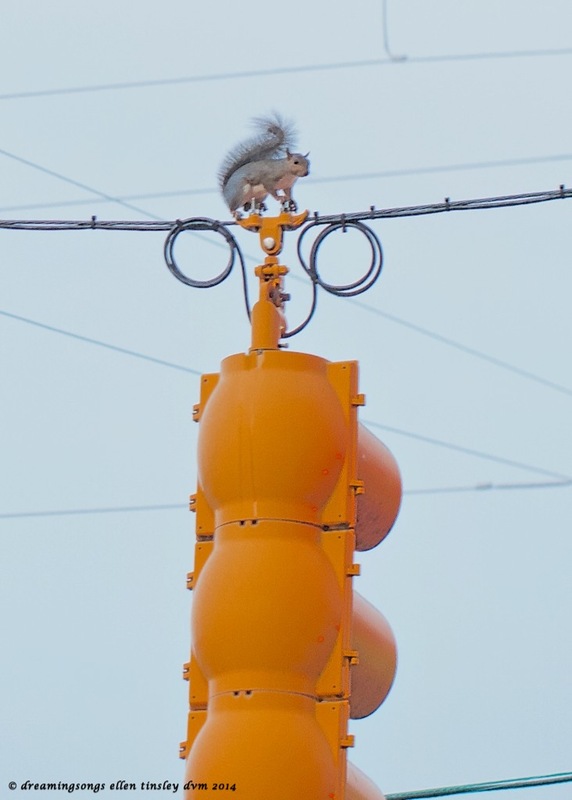 Now, who would have thought a home town squirrel could help hold up a traffic light and keep the bolts screwed very, very tight? Posted in animals, photography and tagged as NC, squirrel, traffic light, Wake County. Hmm. I can foresee that the light might never get dropped because the dear squirrel will suddenly remember that the acorns are dropping and off he will go, task only half-done!